Beginning this month the state of Mississippi will begin issuing license plates with the national motto: “In God We Trust.” Other states offer a specialty plate with the motto, but the Mississippi plate will be the standard plate issued to all drivers. 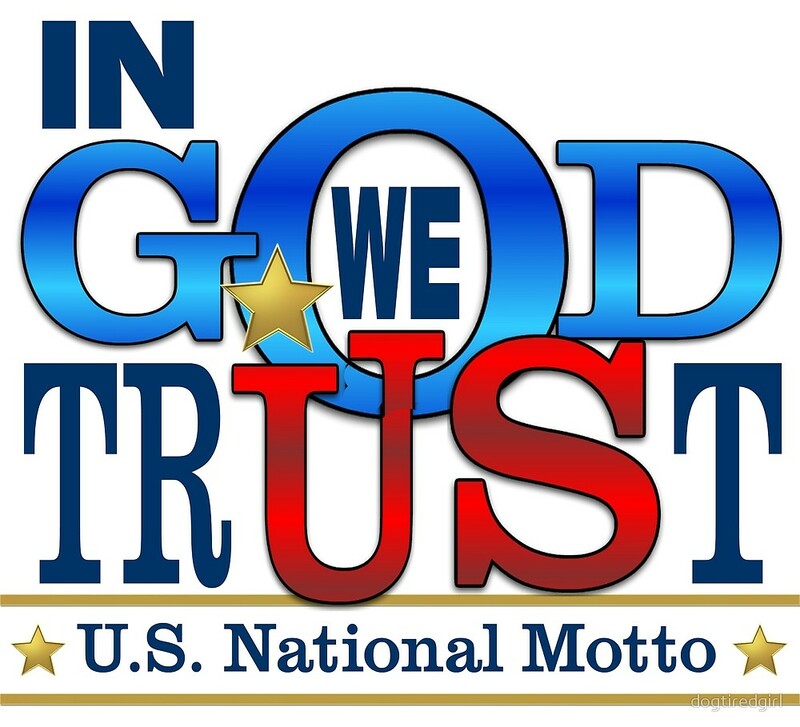 Although used for years, dating back to the early 1800’s, “In God We Trust” did not officially become our national motto until President Dwight Eisenhower signed it into law on July 30, 1956. The following year the first currency with the phrase was printed and entered into circulation on October 1st. Predictably The American Humanist Association criticized the new plates, saying they are unconstitutional. Interestingly, the national motto is prominently displayed in the U.S. House of Representatives over the tribune between the clock and the flag. It is also the motto of the state of Florida. To the chagrin of many unbelievers, our national motto does reflect the religious heritage of the United States of America. While the exact phrase is not found in the Bible, the idea is expressed many times. Later he would pen the Psalm that began with this affirmation: “To You, O Lord, I lift up my soul. O my God, I trust in You; Let me not be ashamed; Let not my enemies triumph over me” (Ps 25:1-2). The prophet Isaiah expressed it this way: “Behold, God is my salvation; I will trust, and will not be afraid; for the Lord God is my strength and my song, and he has become my salvation.” (Isa. 12:2). Repeatedly the Bible calls for God’s people to heed the counsel of the wise man: “Trust in the Lord with all your heart, And lean not on your own understanding” (Prov 4:23). And in various ways in the New Testament writers warn us “that we should not trust in ourselves but in God” (2 Cor 1:9). “In God We Trust” should be more than a national motto to Christians. It ought to be a way of life. An attitude expressed in our actions. In our approach to the problems, challenges and difficulties of life. In times of financial uncertainty, trust in God. When there are problems in our home lives, trust in God. When brethren sometimes let us down, trust in God. When we wonder what is going to happen to the church, trust in God. When fighting the dreaded disease of cancer, trust in God. When facing the specter of death, trust in God. It is easy to give lip service to trusting God, but much more difficult to really do it. It is ironic that our national motto is “In God We Trust,” yet too many Christians seem to think the answers to our nation’s problems will be solved by electing the right person to political office. The real problem of our society today is sin. It is a failure to remember God. Obey His Word. And trust in His Divine Providence. It is well to remember that “the weapons of our warfare are not carnal”(2 Cor.10:4). That power to change people’s lives is found in “the gospel of Christ” (Rom. 1:16). And that regardless of how much it seems that Satan has the upper hand, God’s cause will be victorious. Our trust in God is fortified with this precious promise and wonderful declaration from Paul’s pen. Church family and biological family. Commending the State of Mississippi. I vigorously applaud the state of Mississippi. And i thank you for your message. Great post on history of In God We Trust! Congratulations to Mississippi for standing up for what is right! Amen to the article & the comments. I commend the state DMV for issuing these plates. Blessings!